WESTFIELD – Patricia M. “Patsy” Elliott, 62, a recently retired Professor of Mathematics at Holyoke Community College for 23 years, passed away Wednesday, quietly in her sleep at her home in Westfield. Born and raised in Westfield, Patsy attended St. Mary’s Grammar School and St. Mary’s High School, graduating in 1974. 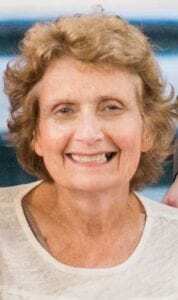 She attended St. Joseph College in West Hartford, CT, graduating with her Bachelors of Science in Mathematics in 1978 and went on to earn her Master’s Degree in Mathematics from the University of Massachusetts, Amherst in 1984. She taught for several years in the 1980s at the former Cathedral High School in Springfield. Despite having Multiple Sclerosis for the last 25 years, she never let it get in the way of living her life on her terms. She was an excellent gardener, especially when it came to herbs and tomatoes. She loved to read; the walls of her home were lined with bookcases and she was a force to be reckoned with at used book sales. Both stand as testaments to that fact. In more recent years, she took to antiquing, collecting everything from tea cups to a full dining room set, eagerly showing off her latest finds to friends and family. Above all, she loved her family, especially her children, to whom she devoted her life.